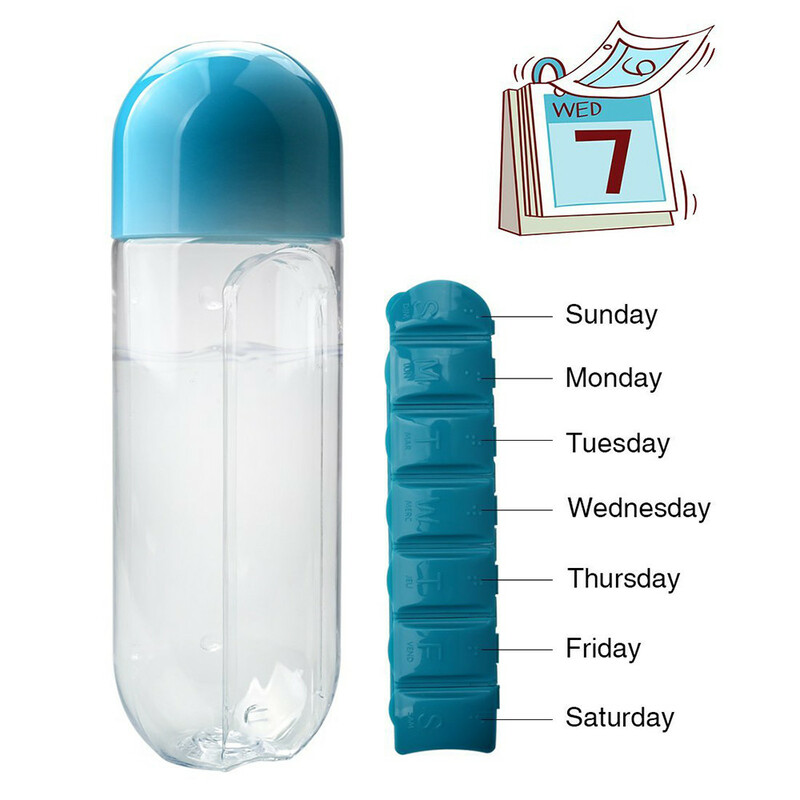 As a company, we knew there was a solution to all of this we come up with a portable device that is compact and simple to use and organize your day to day pills hassle and stress-free so you can focus on what is more important. Super. Big. Big pockets for tablet. The quality is excellent. Reached without damage. The smell of plastic is missing. Shipping is not long. Recommend product and seller. Thank You Very Much. Bottle packed well, worried about damage, but all OK) pouring water-not shed only, in some places, plastic straight very thin and prominaetsya. Packaged carefully, all came in one piece. Box open, closed securely. Thanks to the seller. Enough big bottle! Very convenient! Thank you! lovely bottle. plastic is good quality. be easy cleaning.